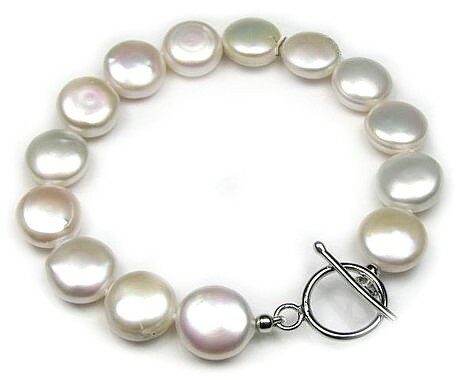 This beautiful, lustrous coin pearl bracelet has been created using fourteen 11-13mm high quality coin pearls, knotted between each pearl and strung on twin silk. The finishing touch is a Sterling Silver Toggle Clasp. Size: 20cm (7½”).